Categories: My Projects, Pulp hero's library | Tags: Latin | Permalink. Categories: Aculeo & Amunet, Guest Post, pulp history | Tags: ancient languages, Latin, pronunciation | Permalink. 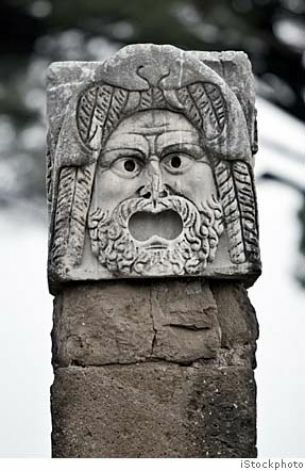 A great vlog post by the esteemed Lindybeige about language in Ancient Rome – a post that has a very close connection with my Aculeo & Amunet stories1 – and also has a certain connection whit the Great Swape Debate. Categories: Aculeo & Amunet | Tags: Aculeo & Amunet, Ancient Rome, Language, Latin, Roman Empire, Rome | Permalink. There’s a lot of fun to be had writing historical fantasy. For instance – in my Aculeo and Amunet stories, Amunet tends to be pretty sharp-tongued. She’s nasty, arrogant, and swears a lot – especially in the earlier stories. Now, I’m no fan of gratuitous profanity, and yet as everything else in a story, profanity too can be used to define a character, to underscore a scene or situation. It’s a tool, just like any other. And because Amunet is a lady – and as somebody said, I fancy her a lot – I like to use this tool in a somewhat elegant, classy, lady-like fashion. Categories: Aculeo & Amunet | Tags: Aculeo & Amunet, Greek, Greek language, Joss Whedon, Latin, profanities, Roman | Permalink.